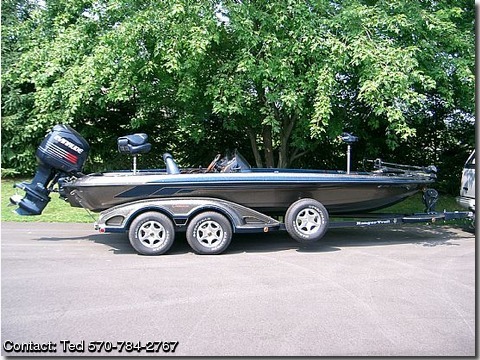 2 garmin 240 depthfinders w/ temp, lowrance gps, pro pedestal seat, 4 blade prop, ranger deluxe cover, lifetime hull warranty, always fresh water, 3 bank battery changer, ranger trail dual axle trailerw/ brakes on both axles, hamby keel protector, garage kept since new. This boat is very clean and tournament ready. Offers are now being accepted.